Spike Jones is an entertaining, thought-provoking, status quo challenging communications professional specializing in word of mouth marketing. 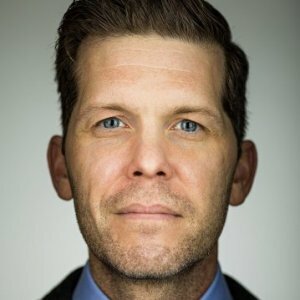 The career path goes something like this: a decade at Brains on Fire; SVP of the Customer Experience team at Fleishman-Hillard; Group Director, Engagement at WCG; SVP, Managing Director of Digital at Edelman and currently SVP Strategy at Spredfast. 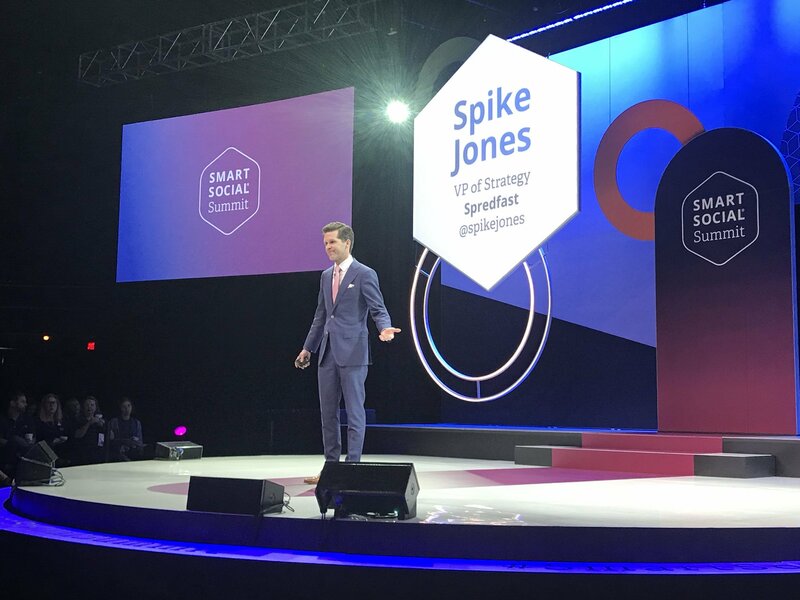 Spike's background includes contributing strategic development – from insight to creative execution – of online and offline word of mouth programs for companies including: BMW, USAA, AT&T, General Motors, Chevrolet, Dagger Kayaks, Fiskars Brands, Rage Against the Haze (South Carolina’s youth-led anti-tobacco movement) and Best Buy. 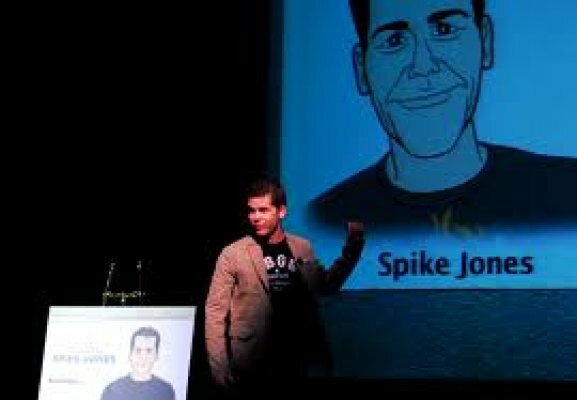 Spike also played a significant role in growing Brains on Fire into one the most sought-after and well-respected word of mouth companies in the industry. In addition, he is a co-author of the Brains on Fire Book, published by Wiley in 2010. 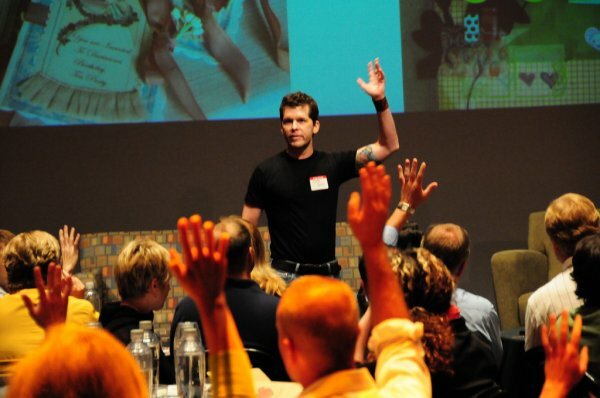 He has served on the Board of Directors for the Word of Mouth Marketing Association (WOMMA) and has presented at private events (Michelin, Biltmore Estates, Marcus Hotels, Susan G Komen Foundation and at national conferences like SocialFresh, the Public Relations Society of America events, GasPedal’s WOM Supergenius Summit and the Association of National Advertiser’s Senior Think Tank Committee. Labeled “one to watch” from an anonymous answerer to a Net Promoter Survey, Spike is smart, good looking, athletic, persuasive and a rock star inside his own head. He also never passes up a chance to write his own bio. Spike Jones reminds me a little of Chris Rock — he comes at you all bombast and challenge and interrogation. But like Rock, he makes you think, and surprises you by making you feel. 'Fantastic! … Inspiring! … Awesome!’ were just a few of the enthusiastic comments received from audience members. 4.9 out of 5.0 for ‘Quality of Speaker’? I’m not sure that Bono could have pulled as high of marks. We were lucky enough to have Spike come and speak at the San Diego Ad Club about word of mouth campaigns. It was a totally engaging presentation. Funny, educational and insightful. All delivered in Spike's low key, laid back style. 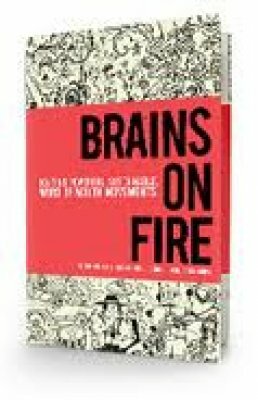 If you want to learn about word of mouth marketing and how to build a sustainable campaign check out Brains on Fire. If you have a need for a speaker on this topic give Spike a call. 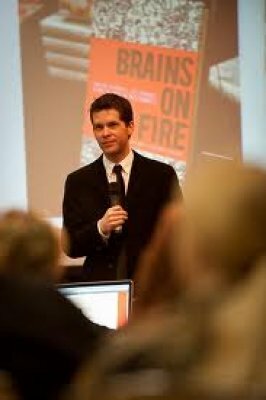 He really does light your brain on fire (no pun intended, sorry for the redundancy :)) and his power point is anything but boring! Thanks again for coming Spike! People have been buzzing about his session all day. You freaking KNOCKED IT OUT OF THE PARK!!! 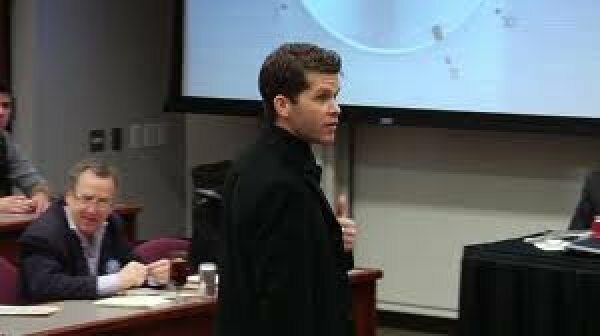 Your presentation was absolutely right on target and awesome. 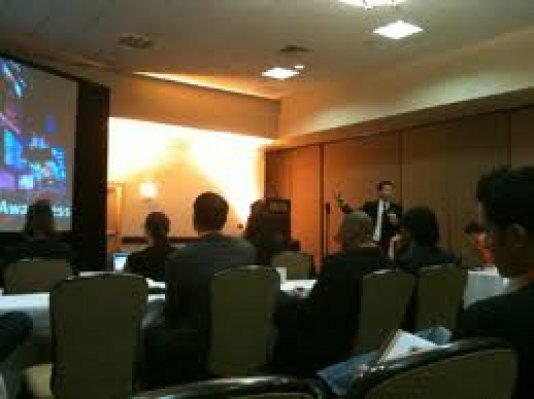 There was endless chatter about your message and people loved your presentation style and just pure flavor! I was thoroughly impressed with the cohesive nature and absolutely smooth flow of your presentation and I can't thank you enough for bringing your talent, energy and plain cool to the summit. 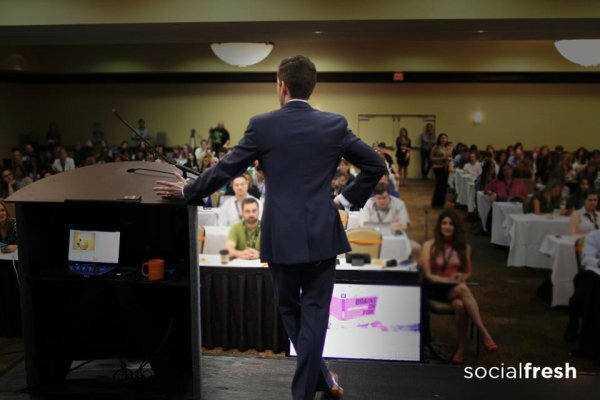 Word of Mouth vs. Social Media - Who's Social's Daddy? The best advertising happens when other people sing your praises to their friends and family. And ambassador/advocacy programs are a great way to ignite excitement and conversation around your brand. They aren't loyalty programs and they aren't couponing programs. After all, an ambassador is a messenger of goodwill. In this engaging, humorous talk, we'll explore real life examples of what works and what doesn't. And no, it's not all about social media, either! Content is king. Engagement is king. Social media is king. Wrong. Branding still rules all. And we're going to go far beyond logo marks and color systems. Brands are identities - who you are and what you stand for. And people engage with you for two basic reasons: solve my problem and make me feel good about my purchase. We'll explore the true meaning of what a brand should be in this new day and age. Some things haven't changed. Others? You better believe it. It's word of mouth. And it's the grandaddy of all things social media. 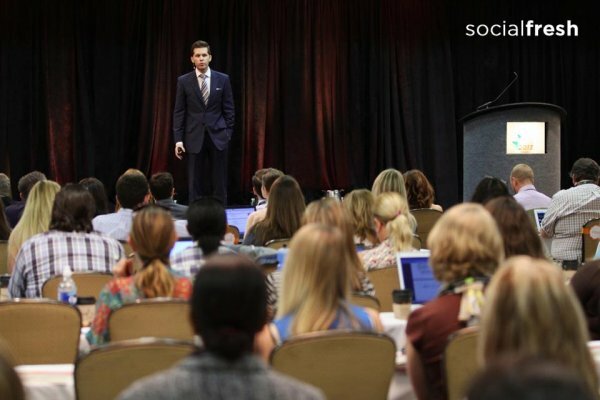 In this talk, we'll begin to demystify social media and the deluge of false information being thrown at us on a daily basis. Like what influence REALLY is. Or the true definition of community. Or if people really want to be friends with brands. 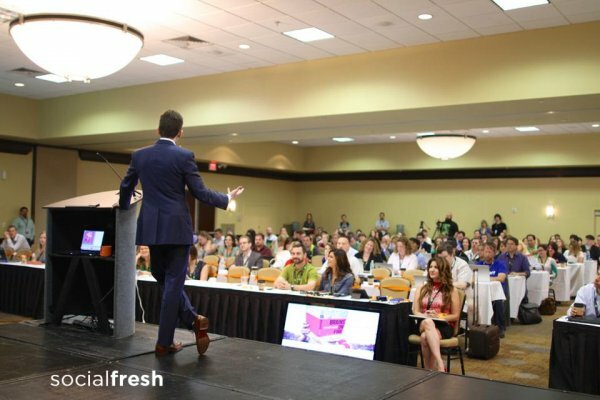 But the audience will also walk away with items they can use to begin to build or enhance their existing marketing programs for long-term success.